Long ago, when the world was young, the magpies’ nests were the envy of all other birds. To help the other birds, Maggie Magpie patiently explained how to build a nest. But some birds were impatient and flew off without listening to all the directions, which is why, to this day, birds’ nests come in all different shapes and sizes. This clever retelling of an old English folktale teaches the importance of careful listening. This fictional story includes a 4-page For Creative Minds section in the back of the book and a 30-page cross-curricular Teaching Activity Guide online. The Best Nest is vetted by experts and designed to encourage parental engagement. Its extensive back matter helps teachers with time-saving lesson ideas, provides extensions for science, math, and social studies units, and uses inquiry-based learning to help build critical thinking skills in young readers. 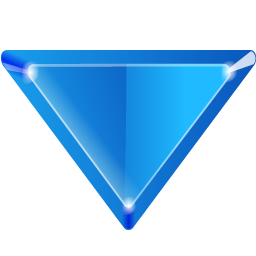 The Spanish translation supports ELL and dual-language programs. The interactive ebook reads aloud in both English and Spanish with word highlighting and audio speed control to promote oral language skills, fluency, pronunciation, text engagement, and reading comprehension. Vetters: Thanks to Anne Hobbs, Dr. Miyoko Chu, and Katherine Smith of the Cornell Lab of Ornithology for verifying the accuracy of the information in this book. 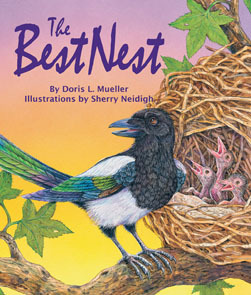 Doris L. Mueller (The Best Nest) was a teacher and professor at every level from kindergarten through graduate school. Some of her previous books include a picture book, Small One’s Adventure, a middle-grade novel, Marryin’ Sam, and a biography, M. Jeff Thompson: Missouri’s Swamp Fox. Doris recalled that whenever she failed to listen to instructions, her mother would tell her an Old English Tale of how, when the magpie tried to teach the birds how to build a beautiful, strong nest like hers, all but one failed to attend to her instructions and went off to build inadequate nests. She retold the story, substituting birds native to the US, and added factual information telling how various birds build their nests for The Best Nest. Doris lived with her husband on a small lake outside of St. Louis and had many bird visitors at their bird feeders—woodpeckers, humming birds, nuthatches, and goldfinches, among others. Their own children are grown and have flown the nest. Sherry Neidigh, a graduate of Ringling School of Art and Design, has been freelance illustrating for over twenty years. Sherry's love of animals and nature comes through in her bright, colorful art. In addition to illustrating Count Down to Fall and The Best Nest for Arbordale, Sherry has illustrated several trade and education titles including Who Needs That Nose?, If I Had a Tail, and Black and White. Sherry lives in South Carolina. Visit Sherry's website.